Dolly Palmer has been making glass beads since 1995. 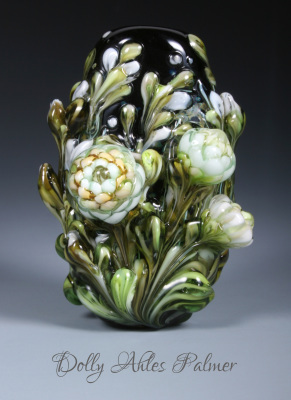 She has taught lampworked bead workshops across the United States, and in Japan. 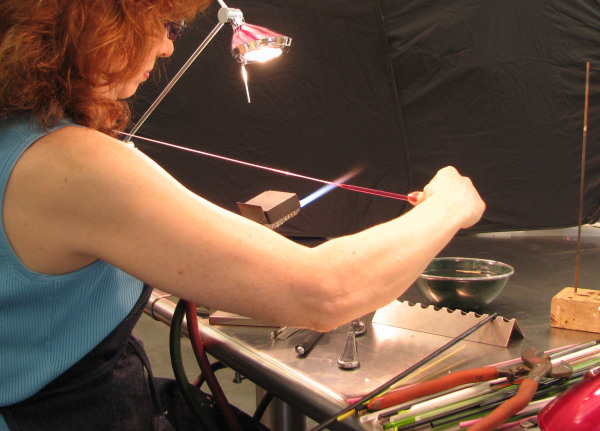 She taught lampworking classes on a weekly basis at the Mesa Arts Center in Mesa, Arizona. Her work has been featured on the cover of The Flow Magazine, in Bead & Button Magazine, Lapidary Journal, Lammaga Magazine, 1000 Glass Beads, Everything You Wanted to Know About Lampworking , and other publications and books. Look for lampworking PDF tutorials to be available soon! Contact Dolly for classes and workshops across the U.S. and internationally. 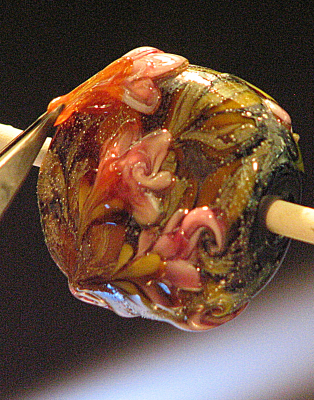 More lampworked focal beads, sets, jewelry & sculptural art to come, updated weekly. DVDs and tutorial PDFs are only refundable and replaceable if unfunctional, otherwise these sales are final. All rights reserved for DVD and educational material.